Today we conclude our coverage of this very important new book, which is enabling chess players of all ages and abilities to drastically reassess the way in which they play chess. 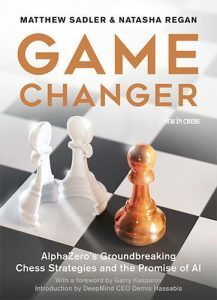 Award-winning authors Matthew Sadler and Natasha Regan proved to be the perfect team to write about AlphaZero and their book is absolutely packed with extraordinary and inspirational material. The book could be read cover-to-cover but will prove beneficial if one simply picks pages at random. Every page is instructive and written at a very accessible level. For this concluding blog I put this to test and by opening the book at random I found this excellent demonstration of attacking skill. 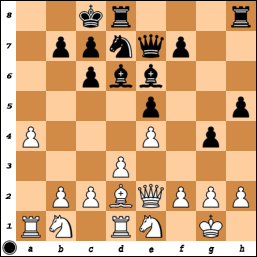 It is relatively common for attacking players to castle on opposite sides of the board, with the idea of unleashing respective all-out attacks on the kings. What isn’t so common is casting when one has already moved one of the key defensive pawns, as it creates an obvious weakness which should make the opponent’s attack faster. In the above position, Black’s a-pawn looks suspiciously weak but AlphaZero is apparently quite content to allow the pawn to be captured as gains time to accelerate its own attack on the kingside. Black’s kingside pawns have used the time it has taken White to capture the a-pawn to advance towards the enemy king, but direct action still seems to be a few moves away, as the White kingside structure apparently lacks weaknesses and hooks. AlphaZero shows that direct action is indeed possible – and much sooner than expected. The next few moves are extremely instructive. Which brings us to this position. It easy to see the progress Black has made since the first diagram. 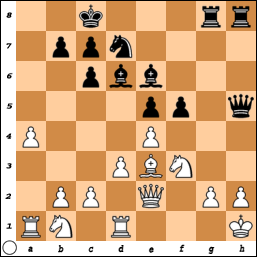 It cost two pawns to set up this dangerous attack but I doubt many players would choose the white pieces here. White soon gave up some material to try to slow down the attack and the game ended in a draw after many adventures. Sacrificing pawns for open lines and attacking chances was the height of fashion back in the 1800s but defensive techniques improved dramatically towards the end of that century and players were not so keen to lose material without being sure they were getting a relatively fast return. 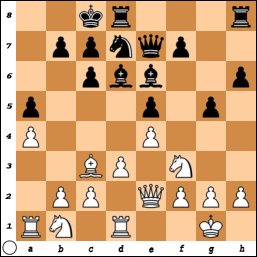 This is when the King’s Gambit (1 e4 e5 2 f4) was replaced by the Queen’s Gambit (1 d4 d5 2 c4). I have a feeling that things will now change again, thanks to the games of AlphaZero and the work put into this marvellous book by Natasha Regan and Matthew Sadler. This is a Game Changer in more ways than one.